Deep Sea Drilling off Otago – Worth the risk? We say – oil or gas – the risk is not worth it. Why? The oil companies cannot eliminate the risk of a disaster. A disaster like the Gulf of Mexico Deep Water Horizon catastrophe would ruin New Zealand’s south eastern coastline. The cost falls to us – the industry does not have to pay any bond to cover liability. The Rena cost New Zealand taxpayers $36.8 million, and that was tiny compared to a major oil rig blowout. The Horizon disaster in the Gulf of Mexico has cost Americans $80 billion so far. Per dollar earned, the oil industry creates fewer jobs than most other industries, and most of those jobs will come from outside the region. Floating Production, storage and offloading vessels (FPSOs) and Floating Liquid Natural Gas vessels (FLNGs) would take the fuels directly to export. No onshore facilities would be built – so no cheap oil or gas for us. Onshore facilities would be limited to some maintenance and repair work and some support services like hotels, casinos and a helicopter (although we have already heard they would use Nelson for a helicopter service). Our ocean is unspoilt and unique. 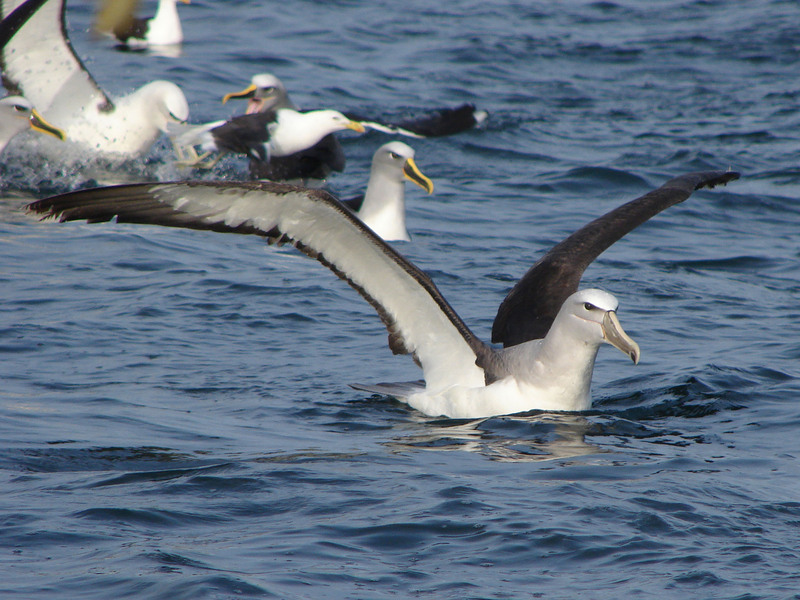 More albatross species breed in our exclusive economic zone than anywhere else in the world. 38 of the world’s 80 whale and dolphin species live in our southern ocean. Whales are returning to our coast after many years’ absence. Planned offshore drilling sites coincide with their migration routes. Tourists, including cruise ship passengers, come to Dunedin for the wildlife harbour cruises, the albatross and yellow-eyed penguin tours. These businesses have everything to lose if there is an oil or gas spill. Fishing is New Zealand’s fifth largest export earner. An oil spill or gas blowout in our ocean could destroy our commercial, recreational and customary fishing. The Gulf of Mexico’s fishing industry could take 50 years to recover from the Horizon disaster – if it ever recovers. We have had no say in whether or not Anadarko and Shell drill in our oceans. Beyond 12 km these companies don’t have to produce ESHIAs (environmental, social and health impact assessments). Neither local tourism operators, fisheries and wildlife experts, nor businesses – whose livelihoods depend on our ocean, our clean green image and our abundant natural fauna – have had input into the decision to drill. Two degrees of global warming is now inevitable – the so-called ‘safe’ limit that world governments have agreed to. Beyond two degrees the climate will become increasingly unstable. Shell, Anadarko and the other fossil fuel companies already have enough discovered reserves on their books to push global warming to five times beyond two degrees. 80% of those reserves have to stay unburned for global warming to keep to two degrees. Anyone can see that exploration for more oil and gas in such a risky environment is – at the very least – a poor investment choice. With over 70% electricity generated from renewable sources New Zealand is in an enviable position. We can thrive on clean energy and remain true to the values of being an unspoilt place. Dunedin has the expertise to build a low carbon economy that we can bequeath to the next generations. With foresight and leadership from the business community and elected representatives, we can show the way. We are already locked in to a future of rising seas, increased storm surges and changing weather patterns. We can avoid making the future harder by beginning now to improve public transport, electrify our transport fleets, protect low lying areas, consolidate and encourage local food producers, and develop new renewable industries. There are opportunities for everyone. Anadarko and Shell say they are more likely to find gas than oil off our shores. They are trying to brand gas as the “clean” fossil fuel. Gas still causes global warming. Burning gas releases about 75% the greenhouse gas emissions of crude oil, causing the same damage to the climate in 4 years that oil does in 3. A gas blowout can be a major disaster. In 2012 in the North Sea, an Elgin platform gas leak spewed 200,000 cubic meters of gas per day. It cost $3 billion and took six months to drill relief wells to stop the leak. If this happened here, the oil companies admit it would take months for a relief well to reach NZ. 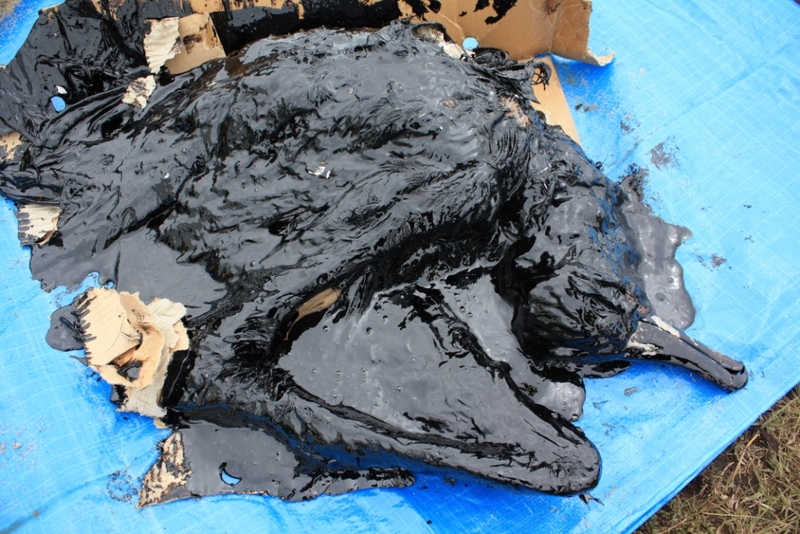 Gas condensate can still wash up on beaches and is toxic to wildlife and humans. Accidental methane emissions from gas wells can be huge and are not factored in to Anadarko and Shell’s definition of a “clean” fossil fuel. Unburned gas from these emissions is mostly methane, which is 21 times more potent at warming the atmosphere than carbon dioxide – nothing “clean” about that.